SAMARITAN’s B.E.S.T. 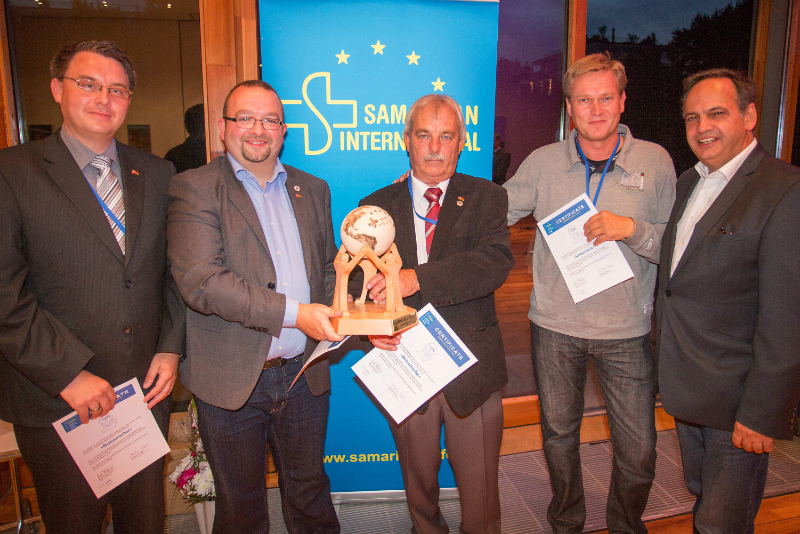 – Award 2013 | SAMARITAN INTERNATIONAL e.V. Representatives from the Beltsamariter Project receive the first SAMARITAN’s B.E.S.T. international. The Forum 2013 was also the occasion to decorate extraordinary projects of Samaritan organisations with the SAMARITAN’s B.E.S.T. awards for the first time. The international SAMARITAN’s B.E.S.T. went to the project „Beltsamariter“ of ASB Schleswig-Holstein and of Dänische Volkshilfe. SAM.I. thanks the participants of the workshop Zeesen. The goal of the project is the cross-border deployment of volunteers in the sectors of Medical Service and Visiting Service for the Elderly. The trophy was presented by the “developers”, the workshop for the disabled in Zeesen. The prize money in the amount of 3,000 € was donated by UNION Versicherungsdienst GmbH and personally submitted to the winner in the form of a cheque by UNION representative Andreas Sauer. Further information is available on the website of the Beltsamariter project. (German/Danish). Participants of the Grundtvig project. 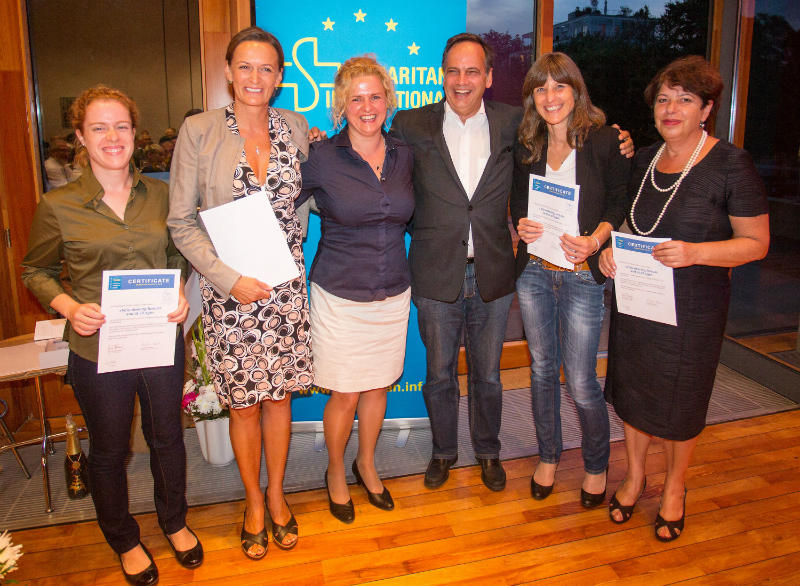 The Grundtvig project Volunteering in European Non-Profit Organisations achieved the second place. Seven member associations of SAMARITAN INTERNATIONAL from Latvia, Lithuania, Poland, Slovakia, Germany, Austria and Italy came together in a Grundtvig-Learning-Partnership, to exchange about the assignment, support and qualification of volunteers and which instruments and mechanisms can be used. Winner of the 3rd place receive their diplomas. 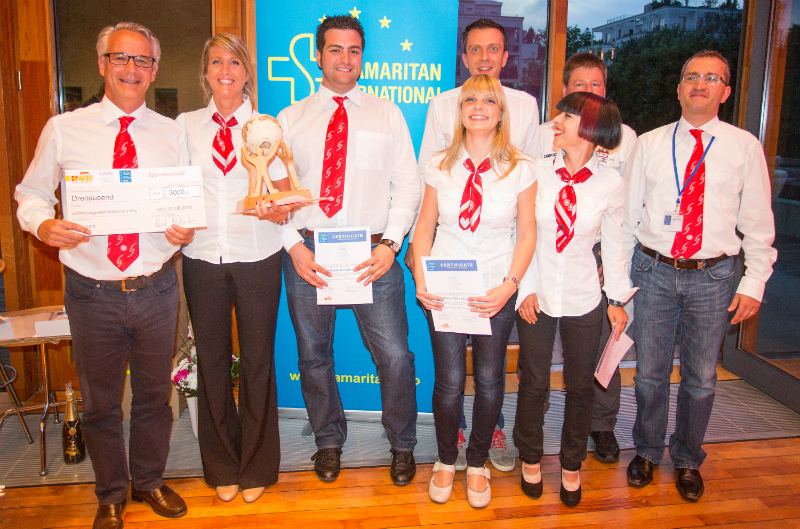 The project Volunteering Forever and at all Age (ASBÖ, ASSR, LSA, LSB and SFOP) achieved the third place. The goal of the project was to raise the awareness among young people of the eldery people’s needs and to support the intergenerational dialogue between young and old in the different European countries. Participants from the White Cross after receiving the SAMARITAN’s B.E.S.T. local. The first SAMARITAN’s B.E.S.T. local was awarded to Weißes Kreuz from South Tyrol for their volunteering campaign “Werde Teil von uns” (“Become a part of us”). The winner received a trophy and a prize money of 3,000 €, donated by the ASB. 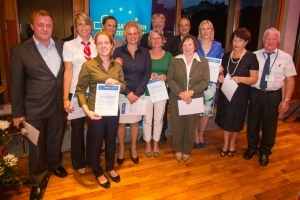 A presentation of the volunteering campaign of the WK can be downloaded as a pdf-file. 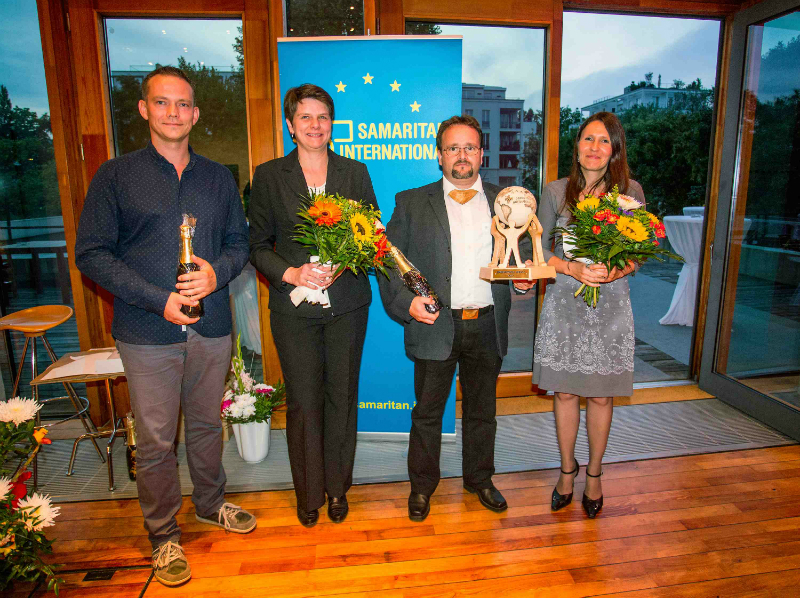 The project “Golden Clip project ” (SFOP) achieved the second place and the projects “Nikolauszug” (ASBÖ) and “Jetzt Retter werden” (ASB) the third place. All nominated organizsations received diplomas. 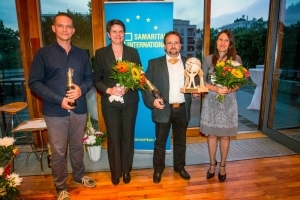 We would like to thank the workshop for the disabled Zeesen of ASB Mittel-Brandenburg for the creation of the trophies for the awards SAMARITAN’s B.E.S.T. local and international. The prices are awarding an extraordinary corss-border project cooperation and a “best practice’ of the menbers of SAMARITAN INTERNATIONAL! Here you can find information on the work of the ASB workshop Zeesen. A photo gallery of the 2013 Forum is available here.